Even if you are new to online marketing, you must have already heard about optimization. The term itself means making something better, improving something based on certain standards. In terms of online marketing, this word is most commonly used in the phrase search engine optimization (SEO). SEO (search engine optimization) is the process of optimizing a website having in mind the search engine crawlers. Crawlers are used by the search engines to find and index new content on the internet. Unless the website content is indexed by these crawlers, it cannot be shown in the search results, which means no one can find it this way. Optimization is divided into off-site and on-site optimization. 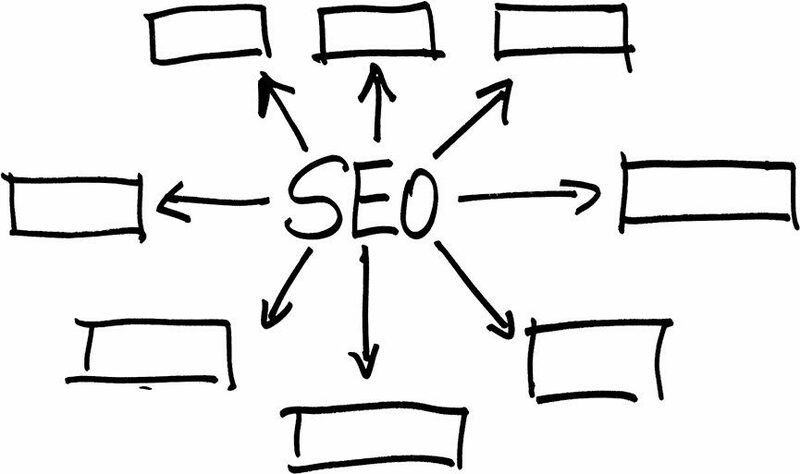 This division is based on the place where the search engine optimization is taking place. Off-site optimization refers to using external factors such as link building to improve ranking in the SERP. On-site search engine optimization is the process of optimizing content and other elements on the actual website for the purpose of enabling crawlers to find and index the website easily. This refers to the improvement of many elements of the website that affect website positioning, but one of the main things to consider is the optimization of content. When it comes to content optimization, you want to focus on how to improve the performance of the content by following suggested practices and guidelines. Through the content on the website, you directly communicate with the search engine crawlers, “telling” them what the content, and ultimately the website, is all about. If you optimize content properly, the crawlers will be able to index such content and associate it with the right keywords. This way, when a relevant term is searched in the search engine, your website will be shown as one of the results. Since being ranked at the top of SERP guarantees most clicks, this would be your goal, which you will try to achieve through optimizing content on your website. The first element of content optimization is keywords. A keyword is a word or a group of words you want to associate with the content on your website. The keywords should be relevant to the topic of your website and to your business. This way, when a search is done involving this word or this particular phrase, your website will be found relevant and thus it will appear among the results. Obviously, it is essential to use only those keywords that are truly relevant to you, because otherwise, you will end up with no results. If the website is associated with wrong, irrelevant keyword, this will attract irrelevant traffic and you will not be able to convert those visitors. This will also result in a high bounce rate, which will indicate the search engines that the content is irrelevant and/or of poor quality. Eventually, this will result in losing ranking in the search engine result pages. The keywords are used naturally as part of the content. It is also recommended to use the synonyms and the synonymous expressions. What is not recommended is to use too many keywords. This is where keyword density appears, as a metric to help you stay on the safe side. Keyword density is the percentage of times a certain keyword is used on a page when compared to the total number of words on that page. Since keywords are indicators to the search engines what the page is all about, it might seem like a good idea to use a lot of keywords, but this is why keyword density is such an important metric. Search engines are marking as spam the content where the keywords are used excessively. This means that using too many keywords would actually cause you more harm than good. There are no official guidelines on what percentage would be a recommended keyword density, but most SEO experts agree that it should be between 1 and 3 percent. This equals to 1.2% keyword density. When search engine crawlers find content on the internet, they need to understand what this content is about. Besides the keywords, they also use so-called tags. Tags are the options to highlight certain parts of the text. Content optimization includes using these options to practically tell search engines which parts of the text are the most important ones. The most commonly used option for this purpose is heading. Heading or header tag is a part of the HTML code that distinguishes parts of the text. It starts with the h1 tag as the most important one. This tag is used for the page title and the crawlers see it as the most relevant phrase to the page content. It is recommended that the h1 tag contains a keyword or a keyword phrase, preferably in the beginning or as far left as possible. Next, comes h2 tag, as another highlighted piece of text, which is usually used for subheadings. If these subheadings have additional divisions, h3 tag is used, and so on. Again, the keyword usage is recommended, but it is always important for the text to be natural and not to disrupt the reading experience. When it comes to the readers, headings are a good way to visually organize the text. They allow people to quickly skim through the text before reading it. This way they can either swiftly find the specific information they are looking for, or they could skim the text to determine if they would like to read it. In both situations, your website benefits as it essentially makes finding information and understanding the text easier. The title tag is usually automatically marked as h1 tag. 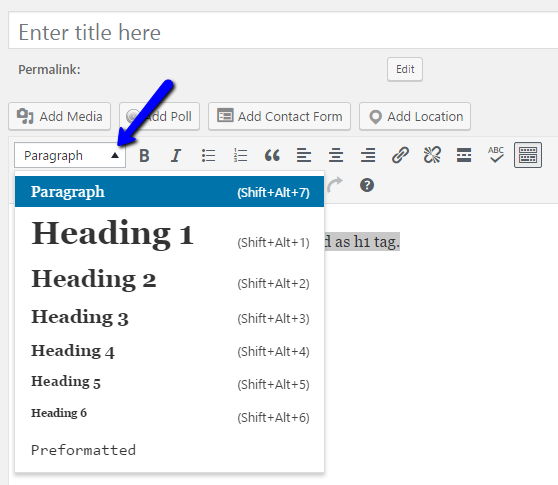 To use other tags in the text, mark the phrase and then use the text editor options. Apart from heading tags, which are seen as more important parts of the text, there are two additional tags that are frequently used for highlighting the parts of the text. Those are bold and italic. They are seen as less important than heading tag by the search engines, but they are still considered to have some value as they differentiate from the rest of the text. Like heading tags, bold and italic options help with improving the user experience. Up until this point, it was all about the text optimization. When it comes to visual content, things are a bit more complex. For starters, the search engine crawlers cannot see the visual content and thus they are not able to index it properly without good optimization. This means that when a search engine crawler finds a content that is in a form of an image or a video, the crawler cannot understand what that image or video says. Obviously, this could signify that a great portion of content would be left unsearchable due to inability to index it. Having in mind the overall presence of the visual content nowadays, this had to be prevented. In order to make images and videos visible, you have to provide some piece of text for the search engines to understand what these visuals are about. You should always have in mind that the search engines crawlers are unable to read the text from the image (yet), nor can they hear the recording from the audio/video. This means that the only data the search engine crawlers will get about these types of content are provided through the following optimization methods. 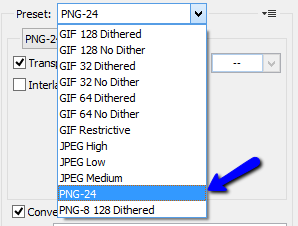 This is a commonly neglected part of image optimization, but the file name does matter. The image file name is the name of the uploaded image. An image filename workplace.jpg is recommended, while IMG00045.jpg is not. 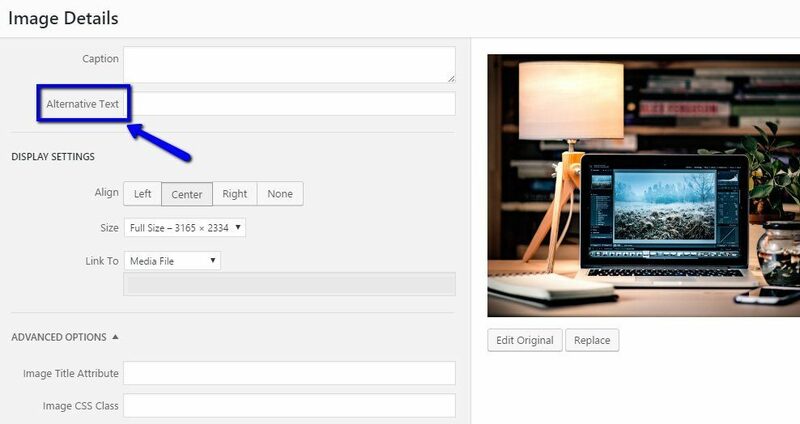 Image location may affect SEO, which is why it is recommended to pay attention when creating folders in the back-end of your website. You should not use one folder, for example, named “Images” for all the images, but take the time to organize them in separate folders based on different categories. Loading time is a very important part of SEO, and the images are precisely the element that has a huge impact on the loading time of a website. Even if you display small image size on the website, but the actual image file size is large, this will still have a negative influence on loading time. You need to reduce image size while keeping the quality. You can do this with lots of online tools and website plugins, but you can also start with Photoshop. 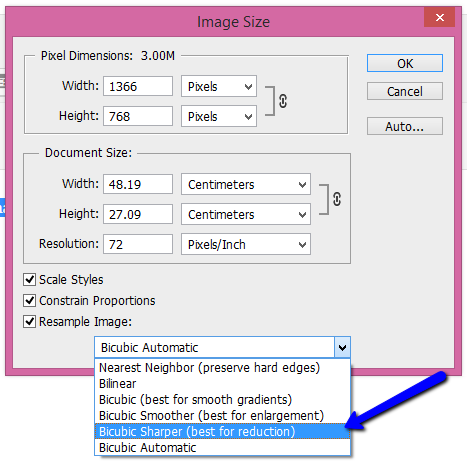 One way to resize the image is to go to “Image size”, click on “Resample Image” and then choose the option “Bicubic Sharper (best for reduction)” from the drop-down menu. 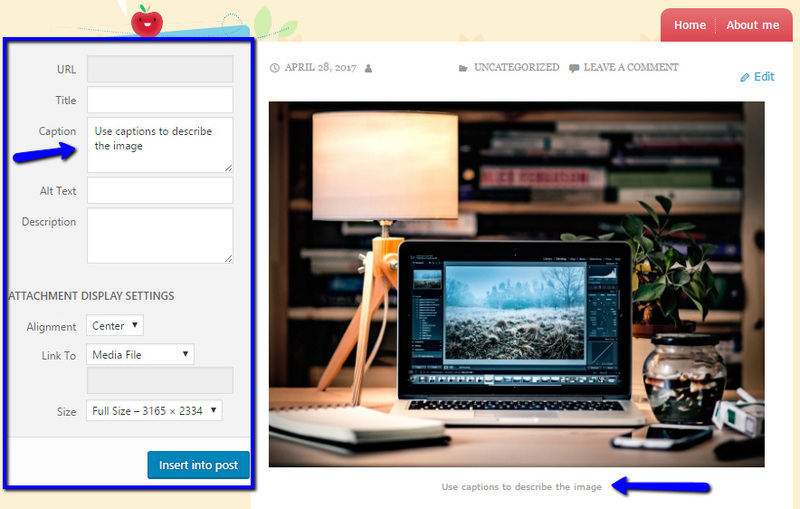 If you would like to reduce the image size without altering the image dimensions, here is another option. Choose the option “Save for web”in Photoshop and save in .png format. It helps with keeping the image quality. This is the text displayed inside the article, visible by both readers and search engines. Captions are usually placed above or below the image and they basically describe the image. This is not an important element, so add captions only when appropriate for the context of the article. Alt text or alternative text is the text that is displayed when the image cannot be loaded and shown to the reader for some reason. This way the crucial information presented in the picture is still shown to the readers in a form of a text. In terms of SEO, alt text helps search engine crawlers to understand what the image is about and how to index it properly. This is especially important if the image features the text because search engines have no way of seeing this text. Therefore, make sure you use relevant keywords when providing alt text to describe the image. To add the alt text, click on the image options and provide the text in the “Alternative text” field. Video title matters a lot because it essentially tells both search engines and online visitors what the video is about. To make sure you maximize the SEO potential of the video, use keywords in the title. The same is applied to the video description. 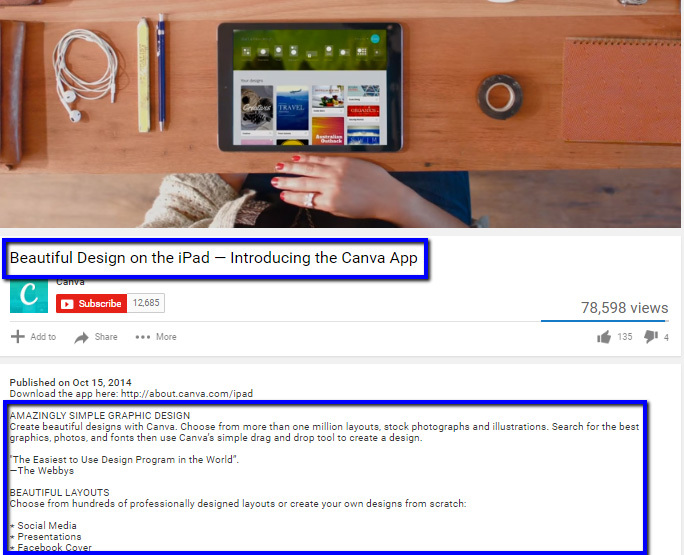 Provide a bit of context to the video and make sure you take advantage of using the keywords in the description. Video transcript is often provided when sharing the video on a blog. In case you choose to do this, you will feature a video at the top of the article and then paste the transcript below. It is mostly helpful with SEO because the search engines can index this text content. In terms of online visitors, the transcript is helpful when they are unable to play the video (due to a limited internet access, for example) and it is a great material for those interested in quoting the parts of the text. Benefits of hosting a video on social sharing platforms are huge, especially on YouTube, which is the second largest search engine. It is also owned by Google, so some marketers believe that it may have higher relevance when it comes to Google searches. Even if you prefer to host the video on your own website, make sure you provide a preview or a teaser and post it on YouTube. In this case, you would also need to link to your own website where the full video can be found. As much as content optimization is essential to make your content visible on the internet, there still are dos and don’ts you need to have in mind. The practices mentioned above are all on the to-do list and those are legitimate ways to ensure the highest performance of the content. Still, you need to have in mind practices that may harm your efforts and thus are on the list of things you should not do. In the effort to optimize the websites, webmasters have been trying to maximize their efforts using methods that are suspicious, to say the least. Even though it might seem as optimization, these practices are in fact perceived as over-optimization and may lead to penalties. Keyword stuffing is a practice based on the presumption that the website will be ranked better if it has lots of keywords on the web pages. It is a way of manipulating the search engines in an effort to trick them that the page is related to the specific searches by using as many keywords as possible. The reason why this practice is persisting to this day is the fact that once, years ago, it did work. However, the search engines have become so much more advanced since that they have ways of detecting and penalizing such websites. The search engines are now focused on providing best user experience and a page with an unusually large number of repeated keywords and phrases fails at providing good user experience. This is why keyword stuffing is a practice to avoid when optimizing your website. You should always have a keyword density 1-3% as a sort of a guideline. Cloaking is another practice that presents a perfect example of manipulation. With this action, you present different content or URLs to human users and search engine spiders. This can be done by providing one content in HTML for the spiders while showing a flash file to the users, knowing that the search engines spiders will not be able to see this kind of content due to its format. Since this practice violates Google’s guidelines, these websites are most likely to be penalized. Comments on your website or blog are a great way to build community and connect with your target group. This also shows engagement and it is a great opportunity to get feedback from the readers, which are all the reasons you should encourage visitors to leave their comment and join the discussion. However, this option is frequently abused by spammers, who post spam, advertising, and unrelated links, that are in fact harmful to your website. Since this can have a negative impact on the performance of your own content by lowering the reputation of your website and providing a negative user experience, you should be very careful when enabling website comments. You should either follow the activity closely, to be able to remove any suspicious comment spam, or you could turn on comment moderation option, in which case you will have to review and approve each comment. Alternatively, you could use anti-spam tools, which are effective against spamming scripts, but when it comes to human generated spam commenting, they do not have a chance. In essence, content optimization should be about improving your content while having both users and search engines in mind. As much as high ranking is important for you, your primary goal should be providing the best user experience. In fact, search engine algorithms have become so advanced and intuitive that they are now trying to access user experience by actions such as one-click visits, visit duration, the fact that the user leaves the page and continues the search (an indicator that the content does not answers the query completely), etc. This all means that technical aspects are important, but in terms of content optimization, it all starts with quality content. Quality content will naturally attract visits, gain links and attention, and with these optimization tasks you only enhance its existing potential.